WebdesignR is India’s top SEO & Website Designing Company, based in Meerut, India. Established in 2007, we are offering cost effective web development, web designing, SEO services, digital marketing, logo designing & internet marketing solutions. Social Bookmarking is one of the highly recommended method in back link creation. If you are promoting your business and wants to go with SEO and searching high ranked Social Bookmarking Sites, then I have done some work for you. Here’s the list of Social Bookmarking Sites , where you can put your website URL free and get a quality back link. While it might not be the first site that pops into your mind for submitting content, it has a large audience and is an efficient platform for posting. Many people use it to post links, content, and images that they find interesting and worthy of a revisit in the future. As the quintessential social bookmarking site, Pinterest has an average monthly user base of 175 million, roughly 80 percent of them females. In its lifetime, more than 50 billion pins have appeared on Pinterest. StumbleUpon is one of the more popular bookmarking sites, in part because it’s so easy and intuitive to use. Look for the same commitment to usability as StumbleUpon becomes Mix in summer 2018. The go-to bookmarking site for creative types, especially designers. If you like to explore with graphic and visual design, or you have someone on your team that does, Dribble is a great spot to get some SEO backlink action. Delicious is great booking marking site when you’re looking to build up maximum traction on your content. Appropriately named, when you put something in your Pocket, it’s there to be found later. Users of Pocket can hold onto anything they find on the internet or through various apps. Bonus points for the fact that once something’s in your Pocket, you don’t need an internet connection to access it. Then it belongs on Digg. Digg is the addictive social bookmarking site that’s perfect for sharing your captivating content with a highly engaged audience. The Folkd bookmarking site contains a unique social search feature that works much like a typical search engine, except the results don’t come from a complex, machine-driven system of analytics. Instead, top results display quality content that users of Folkd have bookmarked. The more saves a piece gets, the higher it’s rank in their social search, which helps connect their visitors with even more quality content. What can’t be found on Reddit? Users generate a list of bookmarks by commenting, upvoting or downvoting content that’s shared on the platform. Reddit is a great tool when you’re looking to quickly promote your own content. One of Fark’s best attributes is their commitment to quality. As a social networking news site, Fark receives mountains of submissions on a daily basis, but presents only the best to their audience. This site isn’t for wimpy, weak content. But, if you’re ready to showcase your talent and drive traffic to your own site, Fark is the way to go. If you’ve got content about startups, marketing, and the world of small business, then BizSugar is the social bookmarking site that will help build your reputation and brand authority in a growing community of like-minded, small business professionals. Slashdot is the ultimate bookmarking site for tech-geeks and the techie at heart. Users of Slashdot submit and share content on gaming, cloud computing, computer hardware, security management, and more. While users can submit and bookmark different types of content, We Heart It is heavily visual. The site is nice to look at, easy to use, and inspirational – especially for anyone who loves great imagery. This site, aimed toward professionals, offers solutions for content creation, content curation, predictive analysis, and content intelligence. Scoop.It offers two different platforms – a free version for individuals and a paid version for businesses. For people who loved Newsvine, and were disheartened when it shut down, Trendiee offers the similar platform that’s super easy to use. Their goal is to connect people with trending news, and it’s one that they accomplish beautifully. Diigo is the ultimate social bookmarking site for academic types. Educators, students, researchers, and anyone with an inquisitive mind love the features that make keeping track of their resources and sharing them easy. Thinking about switching Link Building Supplier? Try the #1 Blogger Outreach Service, FATJOE. No duplicates ever, we check your link history. Diigo is perfect for content that’s focused on statistics, analytics, or research of any industry. Granted, not many businesses publish scientific material as part of their marketing strategy. But, for those that do, BibSonomy is a premier social bookmarking site for businesses and academic types to collect, share and collaborate with the most recent, highly relevant research-based material. CiteULike is a free service for storing and organizing scholarly articles. Users of the website love their automated article recommendations. These recommendations also benefit the content creators with a nice SEO boost. There’s a simplicity to Pearltrees that makes it a favorite among internet browsers that love to create collections of their favorite things. Pearltrees offers functionality and a platform that makes it easy to share and gather new content. DZone is one of the preferred social bookmarking sites for software developers around the world. 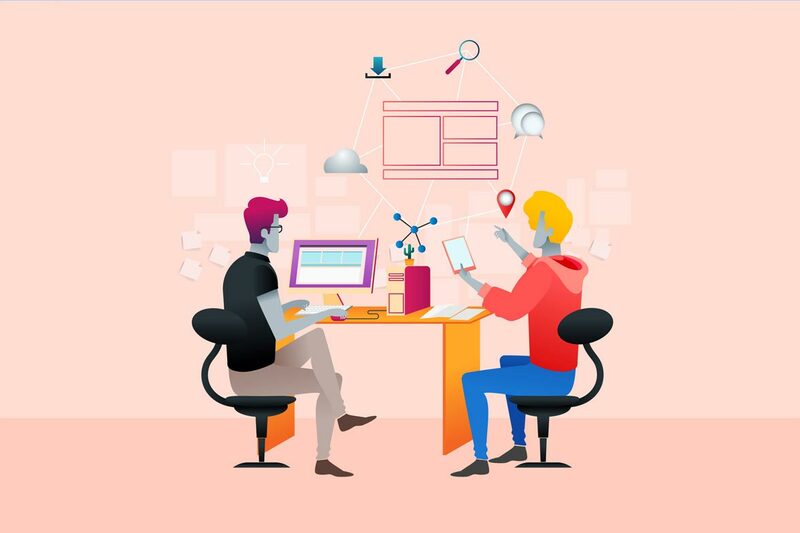 Each day, thousands of developers come to the site to learn, share, and read about the latest technologies and trends in the world of software development. Typically used to share personal, original stories, Larry Kim has shown just how successful Medium can be for repurposing content. While some claim SlideShare is on its way out if you’ve created an amazing keynote or PowerPoint presentation, you’re going to want to repurpose that on SlideShare. Not only a great research tool for Q&A content brainstorming, Quora is a question-and-answer based site filled with a wide range of topics to discuss and follow. Facebook is arguably the most popular social network in the world. Despite changes to how Facebook algorithm diminish organic reach, it can still be a major source of traffic for posted content. Flipboard curates the world’s stories you can focus on investing in yourself, stay informed and get involved. Feedly is the most popular RSS blog reader with more than 15 million users, and acts as a news aggregator for various web browsers and mobile devices. Google Plus, Google’s own social network, allows you to discover new content, post your own content, and connect with other members. Instapaper is touted as the simplest way to save and store articles for reading offline, on-the-go, anytime, anywhere. Kirtsy, initially a content aggregator, now allows users to submit slideshows focused on art, design, products, pins, photos and projects. LinkaGoGo has been around since 2001. It allows you to view bookmarks using dynamic bookmark toolbars. LinkedIn is a 500 million+ member social network designed to build and engage with your professional network. Listly helps bloggers and publishers engage readers by viral top 10 lists created by the community. Tumblr, the popular “microblogging” network, allows users to post multimedia and other content to a short-form blog. Crazybacklink is a free social bookmarking sites lists focused on identifying sites to build backlinks. Dotnetkicks is a community-based news site edited by the community who specializes in .NET development techniques, technologies, and tools. Emolinks is a social bookmarking platform where you can create, publish, and share web content for free. Facecool allows for free submissions for photos, blogs, forums, and events. MozyLink is a simple social bookmarking site where content can be submitted and voted on by the community. PiPiNews is a bookmark link sharing website for anyone who wants to share news, videos, and images. Sitejot is a free online bookmark manager that allows you to manage all of your bookmarks in one convenient place. Skybacklinks is an online service which enables users to store, share, and add links across the web. SocialBookmarkNow is a social bookmarking site that boasts “instant approval” for submitted content. SocioPost allows its community to vote on the best-bookmarked news, videos, and pictures on the web. TechDirt is an online newsblog that allows users to post their own stories. Zypid is a social bookmarking site that provides a place to save and share your favorite web links. MetaFilter is a community weblog that anyone can contribute a link or comment on. AixinDashi is a bookmarking site that allows for free submission of articles across the web. BookMarkBook is a standard free bookmarking site. Bookmarkfeeds allows users to submit article bookmarks from anywhere in the world. BookmarkMaps is a bookmarking service that allows members to submit articles and share the most voted content to social networks like Facebook and Twitter. 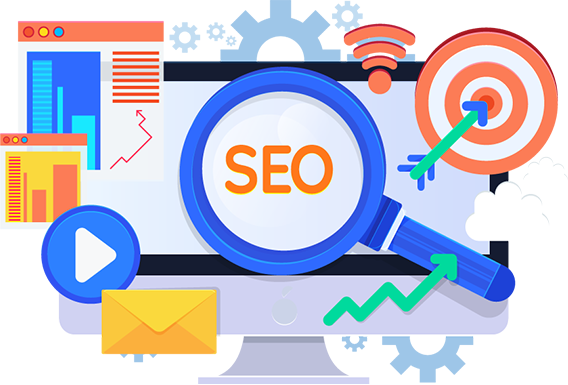 If you are tired of trying SEO, we will help you to rank your website in major search engines. Our online promotion services are a solution for your business ranking in google. We’re on a mission to build a better future where technology creates good jobs for everyone. Quality services for deserving and offer best services on competitive price in IT industry.